I am super excited to read some of these books an I wanted to share them with you guys! Let’s get started. Synopsis; Good and evil clash. Leinad and Cedric are determined to not only survive but claim hope and victory! In Kingdom’s Dawn, Leinad and Tess, along with all the king’s people, must escape slavery by the powerful Lord Fairos. Kingdom’s Hope finds them free and arriving in the Chessington Valley. But when they forget the king, will Kergon and the Kessons capture them for good? After many years, Kingdom’s Edge finds Cedric living a hopeless life until a stranger appears with powerful words of a new kingdom and a grand army. Finally, Kingdom’s Reign marches you through the danger of earth’s last days as the evil dark knight threatens to defeat the prince once and for all. Swords, knights, and battles define these captivating tales that parallel biblical events from Genesis to Revelation! 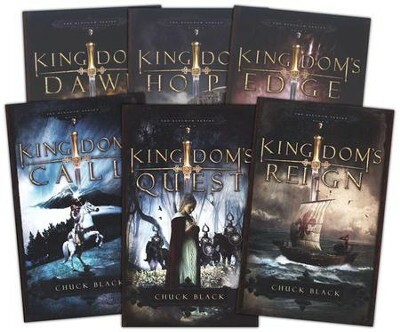 I’ve heard about this Christian Fantasy series when I was younger but I never got around reading them, I’m planning on reading the series this fall. Sypnosis; Loops, variables, input/output – Lucy can’t wait to get started with the new coding club at school. Finally, an after-school activity that she’s really interested in. But Lucy’s excitement turns to disappointment when she’s put into a workgroup with girls she barely knows. All she wanted to do was make an app that she believes will help someone very special to her. I love to code. I think it’s a fun thing to learn. I mainly use Scratch but I have used Python before with the help from my younger brothers. This seems like a sweet middle-grade series. I am looking forward to reading this! Synopsis; The Renegades are a syndicate of prodigies―humans with extraordinary abilities―who emerged from the ruins of a crumbled society and established peace and order where chaos reigned. As champions of justice, they remain a symbol of hope and courage to everyone…except the villains they once overthrew. 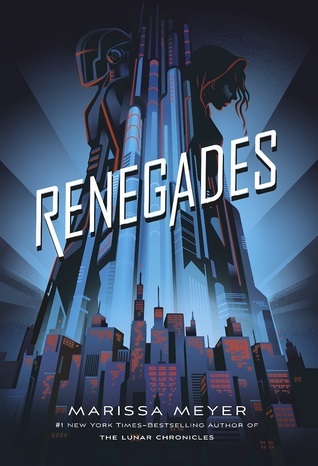 Nova has a reason to hate the Renegades, and she is on a mission for vengeance. As she gets closer to her target, she meets Adrian, a Renegade boy who believes in justice―and in Nova. But Nova’s allegiance is to the villains who have the power to end them both. I have been waiting for this book for months! I believe it will be coming out in November- which is next month! 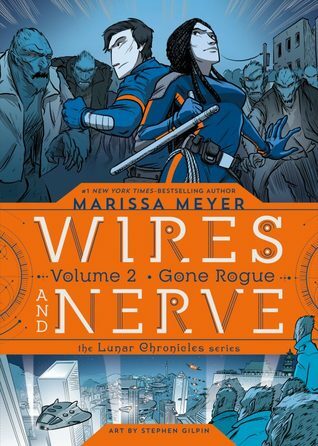 I am a little disappointed that Marissa Meyer won’t be continuing the Lunar Chronicles Series but I am super-duper excited for Renegades. 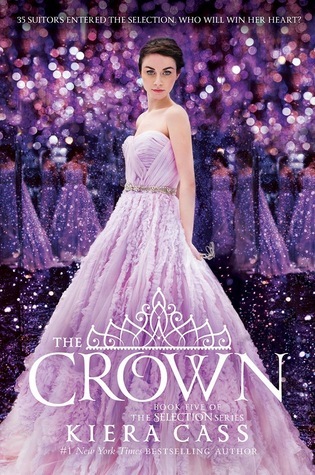 Synopsis; Iko – an audacious android and best friend to the Lunar Queen Cinder – has been tasked with hunting down Alpha Lysander Steele, the leader of a rogue band of bioengineered wolf-soldiers who threaten to undo the tenuous peace agreement between Earth and Luna. Unless Cinder can reverse the mutations that were forced on them years before, Steele and his soldiers plan to satisfy their monstrous appetites with a massacre of the innocent people of Earth. I am so happy that Iko got her own series! I can’t wait to see what she has in store. I’m so excited for this to come out! Watching her app go viral is amazing. Leaderboards are filling up! Everyone’s making new friends. And with all the data Allie is collecting, she has an even better shot at beating her archenemy, Nathan, at the upcoming youth coding competition. 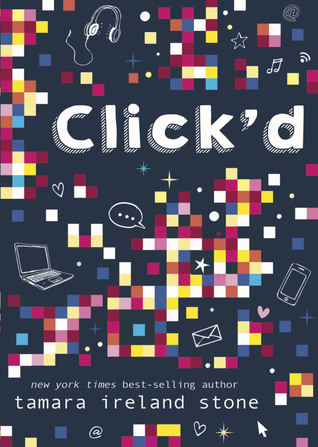 But when Allie discovers a glitch that threatens to expose everyone’s secrets, she has to figure out how to make things right, even if that means sharing the computer lab with Nathan. Can Allie fix her app, stop it from doing any more damage, and win back the friends it hurt-all before she steps on stage to present CLICK’D to the judges? I am hoping that this book will be different. 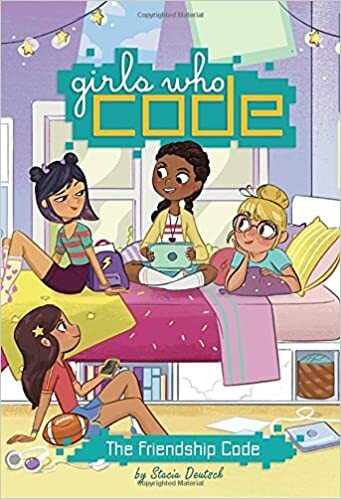 I really like how authors are writing more steam related books for girls! 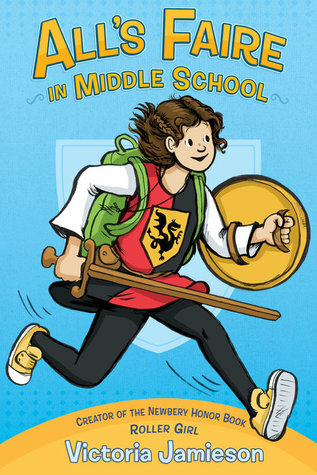 Eleven-year-old Imogene (Impy) has grown up with two parents working at the Renaissance Faire, and she’s eager to begin her own training as a squire. First, though, she’ll need to prove her bravery. Luckily Impy has just the quest in mind–she’ll go to public school after a life of being homeschooled! But it’s not easy to act like a noble knight-in-training in middle school. Impy falls in with a group of girls who seem really nice (until they don’t) and starts to be embarrassed of her thrift shop apparel, her family’s unusual lifestyle, and their small, messy apartment. Impy has always thought of herself as a heroic knight, but when she does something really mean in order to fit in, she begins to wonder whether she might be more of a dragon after all. I am not sure how this book is going to turn out. I try to avoid books that deal with school because of all the Drama, but I feel like this might turn out differently. I really like how this is about a homeschooled girl, I just wish that people wrote more books about homeschooled kids that stay homeschooled. 1242. On a dark night, travelers from across France cross paths at an inn and begin to tell stories of three children. Their adventures take them on a chase through France: they are taken captive by knights, sit alongside a king, and save the land from a farting dragon. 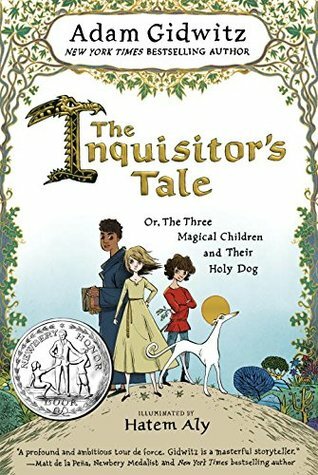 On the run to escape prejudice and persecution and save precious and holy texts from being burned, their quest drives them forward to a final showdown at Mont Saint-Michel, where all will come to question if these children can perform the miracles of saints. Join William, an oblate on a mission from his monastery; Jacob, a Jewish boy who has fled his burning village; and Jeanne, a peasant girl who hides her prophetic visions. They are accompanied by Jeanne’s loyal greyhound, Gwenforte . . . recently brought back from the dead. Told in multiple voices, in a style reminiscent of The Canterbury Tales, our narrator collects their stories and the saga of these three unlikely allies begins to come together. I already started reading this book and I enjoyed it so far. It’s not my favorite book and I don’t agree with everything in it but I really enjoy the authors writing style. I am unaware if this book has magic in it yet. I think that having powers is not the same as doing magic spells but it depends on the book. If you guys get what I am trying to say then Excellent- but if you don’t then go get a cup of tea and keep reading. If you guys get what I am trying to say then Excellent- but if you don’t then go get a cup of tea and keep reading. Otherwise, the book is great so far, I love the historical feel. This series will always be my favorite! NARNIA FOREVER. 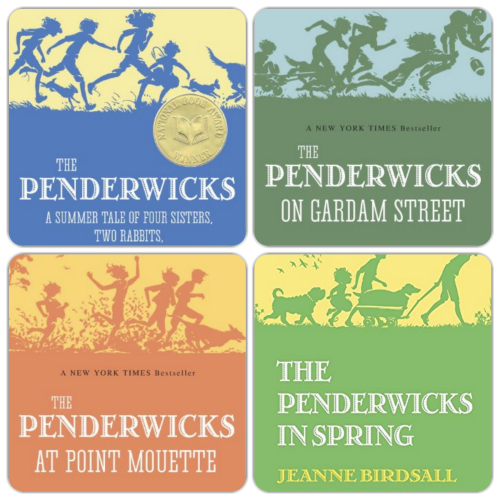 The Penderwicks series is so sweet. I love the sisters bond! I put a lot of books on my list, Hopefully, I can read them all! Did you enjoy today’s post? What books are you planning on reading this month?